Christian Severn, the Duke of Mercia, married with two children, joins the military, but ends up being kidnapped and tortured and now is set free and makes his way back to England. Only to learn that his wife and son are gone and all he has left is his daughter. A daughter that doesn’t speak. Gilly, is free of her marriage from hell, and when she sees the trouble with Christian’s daughter, So Gilly goes with Christian to his country estate. Christian only sees the revenge for what was done to him, and to connect with his daughter again. From the moment he meets Gilly, his life alters. 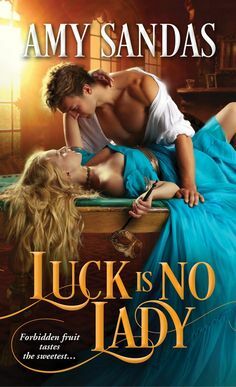 He starts to have passion for life again, and when their friendship kindles into more after a searing embrace, he knows that he would do anything to have her. Gilly is afraid to trust again, after being in a marriage for eight years that was eight years of nightmares. Can Gilly and Christian heal enough to trust in each other? The Captive is the first book in the most latest and new series by Grace Burrowes. I was really excited to read The Captive, and I was really looking forward to reading it after reading the blurb. I really love the basis of the series. The Captive deals with two people that are both damaged, in similar ways, but we don’t learn the full extent of their pasts until well past the first half of the story. I did have a difficult time getting into it, but while reading the first half I was really tired so when I was more alert I read the second half and it got much better, although still wasn’t able to fully be engaged as I like to be in a story. But in all honesty I felt like The Captive was a solid romance with many qualities that gave it a 4 blossom rating for me. I loved the way this story line turns out. and I enjoyed seeing Christian and Gilly turn out into friends and then slowly kindles a more sensual relationship. There were many moments that were very heart wrenching, seeing both of these gentle hearts coming to terms with their pasts. The match that Christian and Gilly made, they seemed like they complimented each other quite well. I really enjoyed the added character of Christian’s daughter, and seeing the tender relationship form between these three. There is a sense of family in this book, and I loved how compelling the story could be at times. MOVING AND SENSATIONAL!! !